All major automotive brands offer some form of leasing program, because it’s an incredible beneficial way to engage new drivers with the brand, to create new enthusiasts, and to build used-car inventories out of well-cared-for, one-owner lease returns. 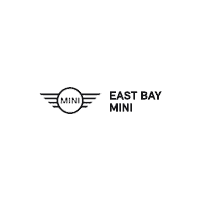 But nobody does leasing quite like MINI. See how this brand of small cars is making big waves in the leasing industry. It’s common for auto brands–especially luxury brands–to be flexible with lease terms: drivers can often choose from leases as short as 24 months to as long as 48 months; they can opt for low-mileage leases with 7,500 miles per year, or high-mileage leases up to 25,000 miles per year. That’s pretty amazing. Motoring Lease: this option lets you choose your own mileage limits, whether it’s 5,000 or 50,000–or, a lot more. MINI knows that its cars create an obsession for driving, so it rejects the idea of limiting drivers to a low mileage ceiling. We’ll create a plan that fits you perfectly. Traditional Lease: if you’re a pretty typical driver, falling right in that normal 12,000 – 15,000 miles-per-year category, our classic MINI lease could be perfect for you. Mileage Adjustment Program: this perk is an amazing part of the program. When leasing, you can purchase additional miles–up to 100K–at any point in time up until you return the vehicle. That gives you incredible flexibility that you won’t find in most car leasing programs.